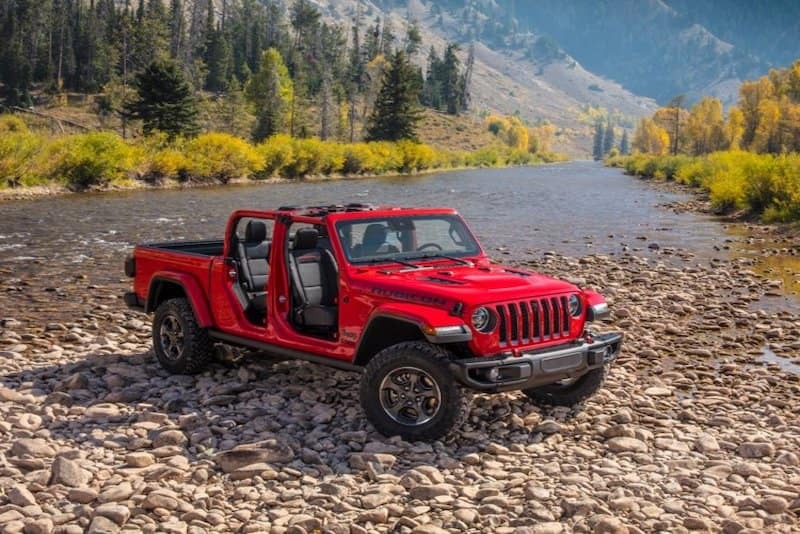 Learn More Info About The 2020 Jeep Gladiator Here! When it comes to a Jeep, many drivers love the fact that they change over time – sometimes drastically. 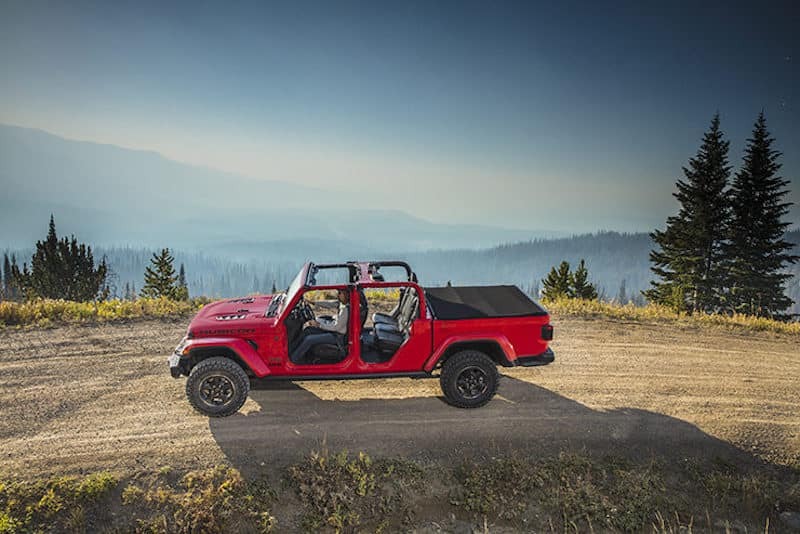 Usually providing a unique exterior every few years and a wealth of off-road capabilities, the Jeep has made a name for itself over the years. We write all this to say….buckle up because the 2020 Jeep Gladiator is about to blow your expectations out of the water. The 2020 Jeep Gladiator is offered in four separate trim levels: Sport, Sport S, Overland, and Rubicon. Spread across each trim is a range of features. Whether you’re interested in comfort, technology, or safety, the Gladiator has it all. The unique exterior is certain to turn heads on the road. At Safford Chrysler Dodge Jeep RAM of Springfield, we pride ourselves on our extensive inventory. This means that you’ll soon be able to find the 2020 Jeep Gladiator at our dealership. We want you to have all the information necessary to make a well-informed decision. Contact us today if you have any questions. Our team of specialists will be more than happy to answer your questions! We know you’re shivering in antici…………………pation. You’re ready to learn all you can about the 2020 Jeep Gladiator and we’re excited to fill you in on all it has to offer. To help you, we’ve taken a closer look at the 2020 Gladiator below. Keep reading for more information on this soon-to-be popular ride! If you’re interested in power, you’ll be happy to learn that the Gladiator offers several different engine options. For starters, you’ll find a 3.6-liter V6 that produces 285 hp and 260 lb-ft of torque under the hood. This engine comes in four-wheel drive and offers either a 6-speed manual transmission or an 8-speed automatic transmission. There’s also a 3.0-liter turbodiesel V6 that generates 220 hp and 442 lb-ft of torque mated with an 8-speed automatic transmission. In terms of performance, the Gladiator is a hauling machine, towing up to 7,650 lbs with a 1600 lb payload. This means that the hauling capacity of the Gladiator is good enough for your boat, trailer, camper, and more! Once the 2020 Gladiator is released, you’ll find it and much more at our dealership. At Safford Chrysler Dodge Jeep RAM of Springfield, we pride ourselves on our extraordinary selection. In addition to this, we provide countless deals and specials for you to take advantage of. The catch? Our special offers are only for a limited time. The prices you see on our site today could be gone tomorrow. Don’t wait to come see us! Our dealership is conveniently located at 7611 Loisdale Rd, Springfield, VA 22150, which means residents of Alexandria, Fort Belvoir, and Lake Ridge are just a short drive away. Once you arrive, our friendly and knowledgeable team members will be more than happy to show you around, fill you in on our special offers, and let you take a test drive or two. In addition to this, we’ll sit down with you to go over your options and help answer any questions you might have. Come see us soon! Feel free to stop by Monday – Friday from 9:00 a.m. to 9:00 p.m. and Saturday from 9:00 a.m. to 8:00 p.m. We’re also open on Sunday from 11:00 a.m. to 6:00 p.m. We look forward to seeing you!